Maria and Tess Cuevas were both named after their grandmother Teresa Cuevas. 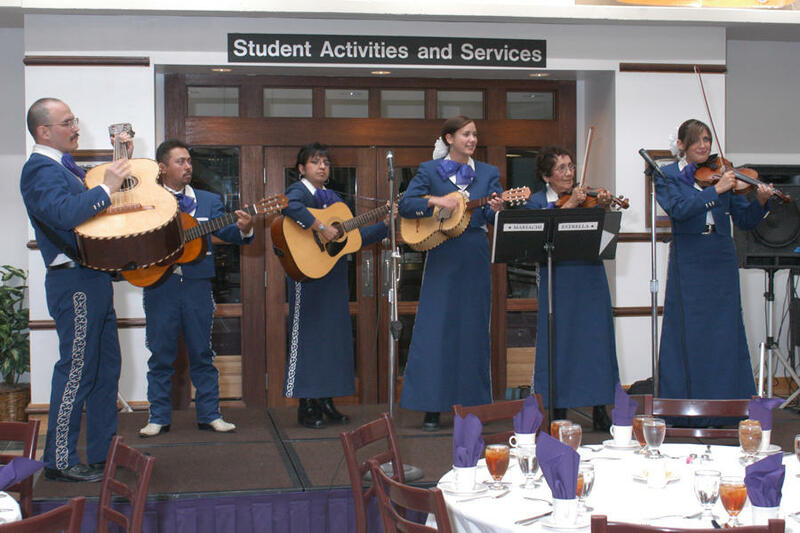 From the right, Tess, grandmother Teresa and Maria Cuevas in a mariachi performance in 2005. As young children, the Cuevas sisters began learning piano and violin from their grandmother Teresa Cuevas, a musical pioneer who had founded one of the country’s first all-female mariachi groups in Topeka. Before they were teenagers, they’d been drafted to perform in their grandmother’s group, Mariachi Estrella. As Maria Cuevas told Gina Kaufmann on KCUR’s Central Standard, the sisters grew up singing in Spanish — but they didn’t speak Spanish at home. Their grandmother hadn’t passed the language on to their father. At the time, she prioritized fitting in to their larger Kansas community. But when it came to teaching her grandchildren, Teresa Cuevas wanted them to learn Spanish through music. 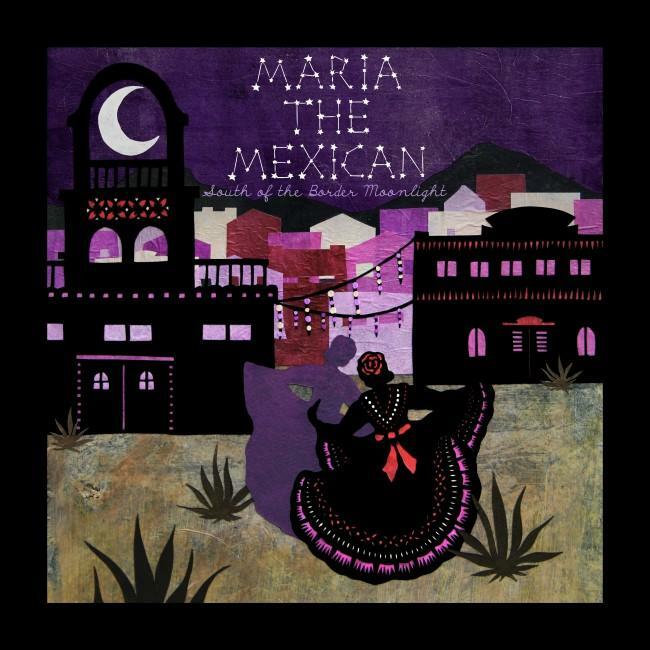 'South of the Border Moonlight' is Maria the Mexican's second album. The Cuevas sisters sing in both Spanish and English in their Kansas City band Maria the Mexican, which came together when they met guitarist and songwriter Garrett Nordstrom. He helped them form their musical identity (roots rock, they call it) and was the one who came up with the name, an homage to the Cuevas matriarch who died in 2013 (her full name was Maria Teresa Alonzo Cuevas), as well as Latin America’s everywoman. Maria the Mexican’s new album South Of The Border Moonlight features classic mariachi songs and the first song they wrote in Spanish, a translation of one of Nordstrom’s songs. Though Maria Cuevas said the sisters “have gone in and out of being a little more fluent and a little less” in Spanish, the performance chops they learned from their grandmother are rock solid. It’s a strategy they’ve carried on today, through the challenges of being sisters and band-mates and best friends and, along the way, sorting out what it means to be comfortable with their identities. “You know, feeling really Mexican and being in a mariachi band, but also feeling really American, and being around people who were very unfamiliar with that, and just trying to make sense of that from a very young age,” Cuevas said. Eight years ago, in an interview with KCUR 89.3, Teresa Cuevas said she was so pleased that her granddaughters had more choices than she ever did. “The trouble is, even though they love mariachi music, they've seen so many things that they want to do. Isn't that beautiful? What has opened up for these two girls?" Sylvia Maria Gross is a reporter and editor at KCUR, and senior producer of the show Central Standard. You can reach her at sylvia@kcur.org and follow her on Twitter @pubradiosly. Mariachi musician and founder of a groundbreaking all-female mariachi band, Teresa Cuevas, died late last year at the age of 93. Cuevas founded Mariachi Estrella with seven other women from her church choir in 1980. They became a regional phenomenon, trading the mariachis' traditional black pants for long maroon shirts. The band played shows all over Kansas.